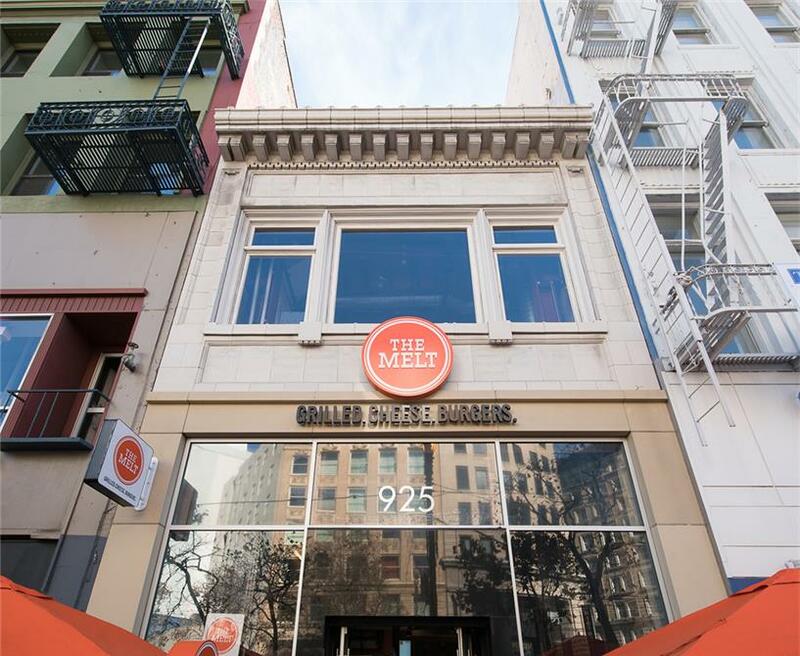 Grilled cheese hits Market Street, San Francisco. 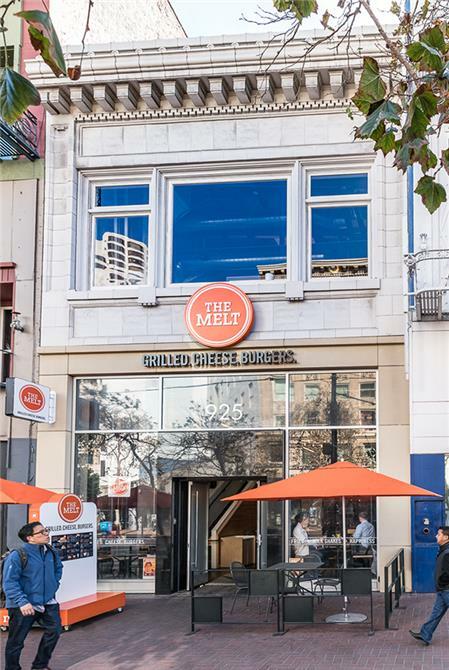 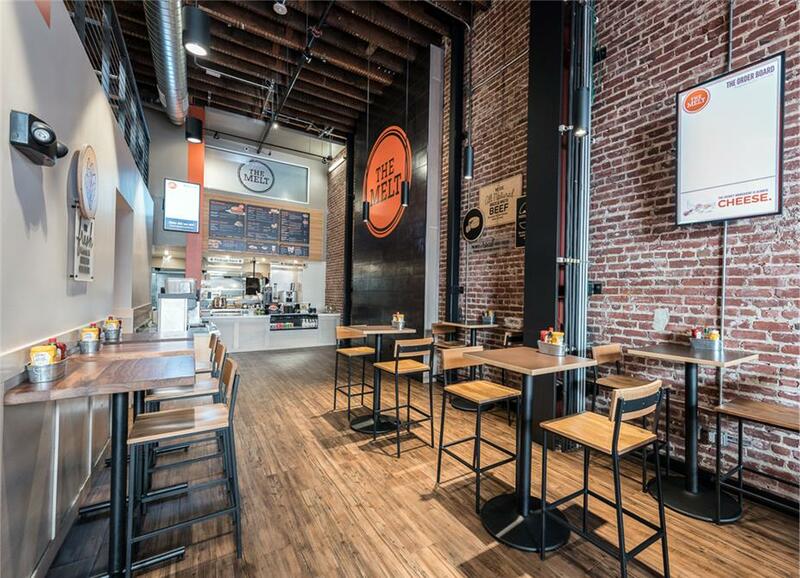 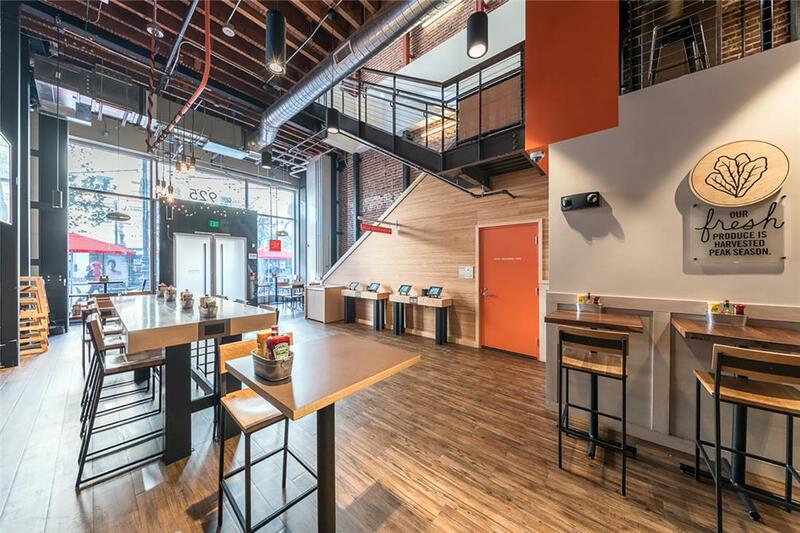 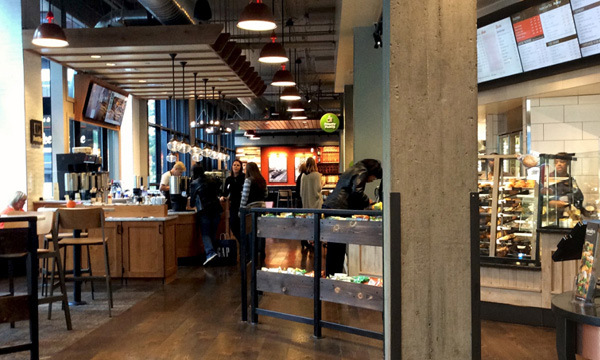 Following the closure of its SoMa location, The Melt opens in the heart of downtown San Francisco at 925 Market Street and relocates its corporate headquarters to this location. 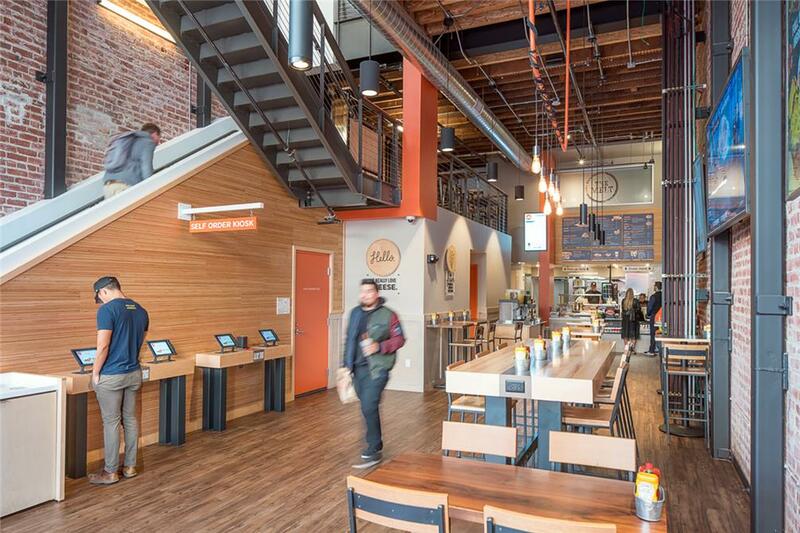 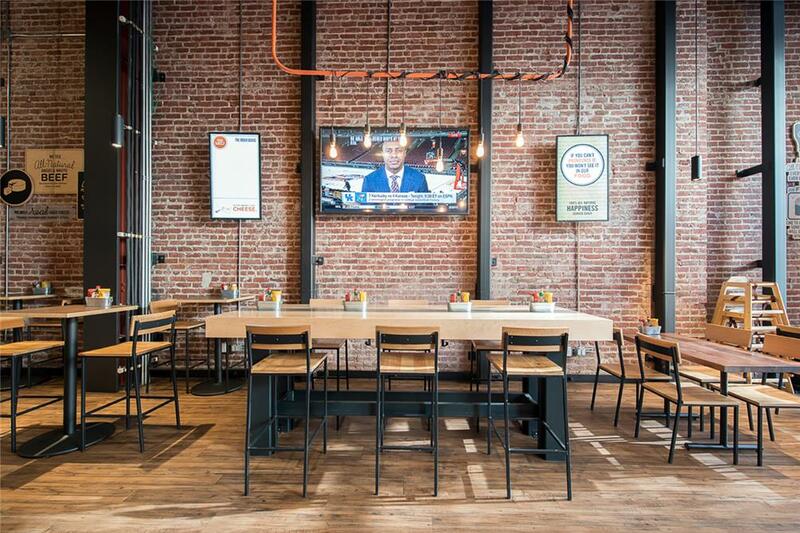 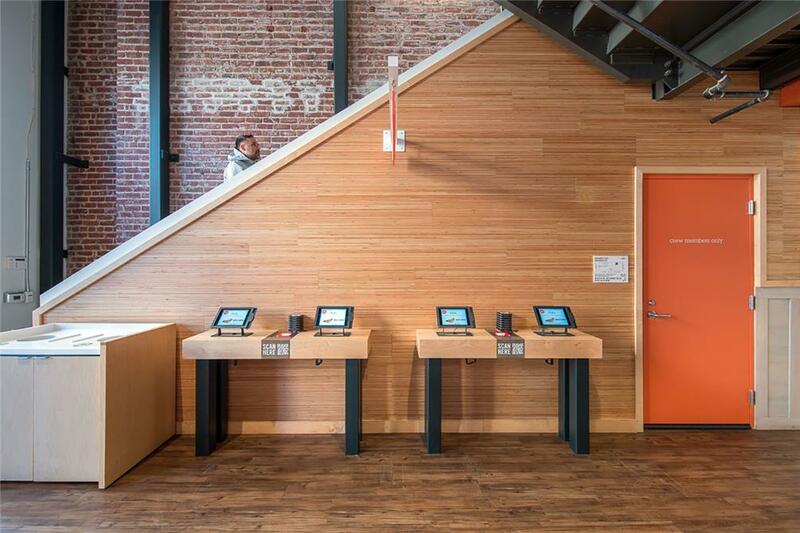 This fast casual restaurant shares the building with second floor office space above. 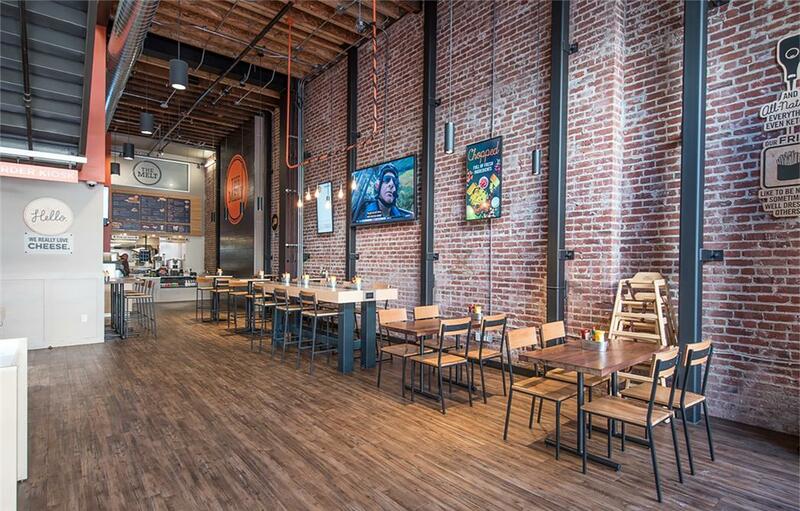 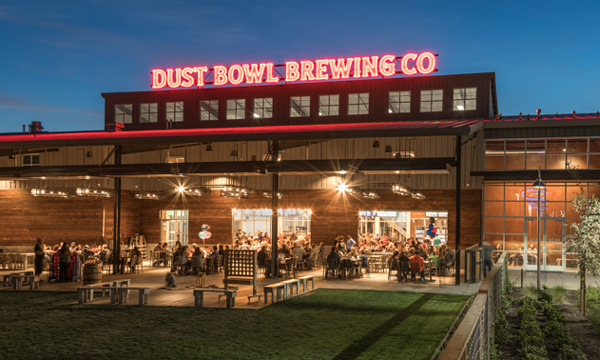 The building's historic exteriors permitted limited modification, while the interiors were re-designed to accommodate the kitchen and dining needs of the fast-growing chain restaurant. 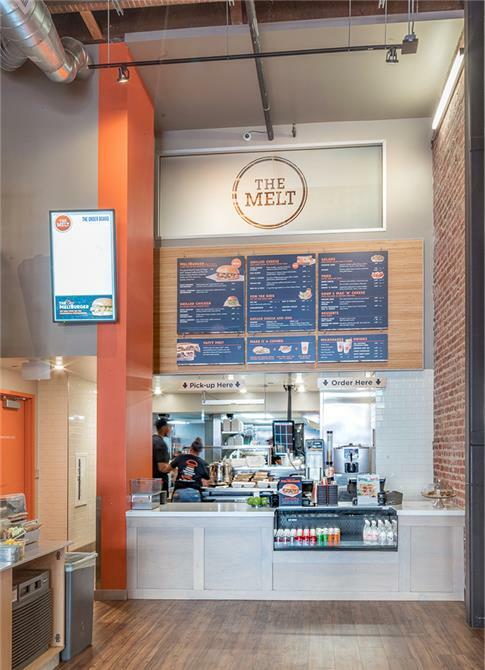 Self-serve kiosks and multiple seating arrangements were integrated into the layout of the space with a selection of furniture to accommodate different casual dining preferences.